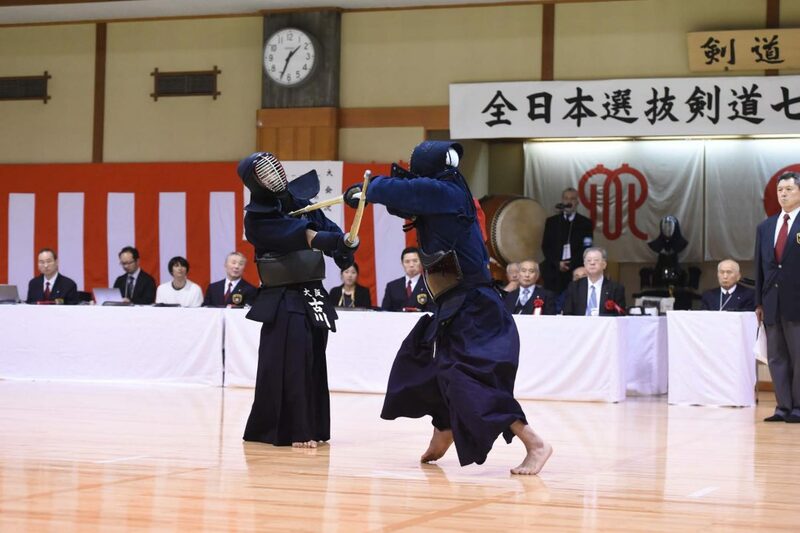 At the 5th All Japan Invitational Kendo Seventh Dan Championships this year (Yokohama 7th Dan tournament), an achievement that rewrites history was attained by Keiichi Hashimoto (Saitama) belonging to the business group Ita Technos, who stood at the top. 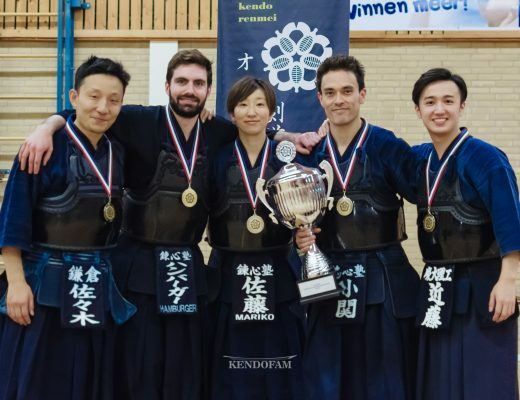 Although police officers won the championship the past 4 times, that trend was broken by a swordsman from the business world who climbed to the pinnacle. 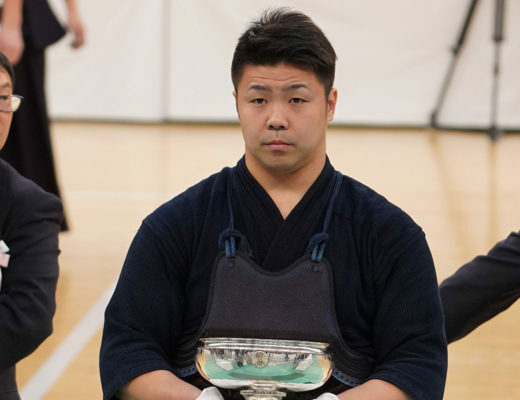 In the final game against Shinsuke Matsuwaki (Tokyo) who participated in the tournament for his third time, he landed a morote tsuki in the extension and grasped the championship. 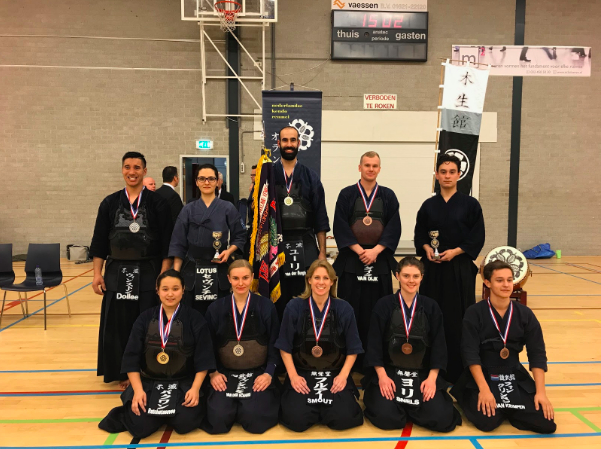 The third places were taken by Gonpei Noriyasu (Tokyo) and Daiki Kiwada (Osaka), for whom it’s been the second time in a row.